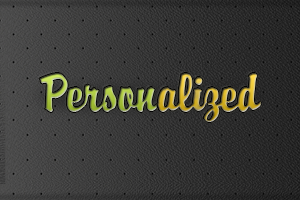 PossibleNOW: How Does Personalization Differ From Preferences? I once received a gift of cuff links that had my initials engraved on them. By adding my initials, it personalized the gift for me and showed that the sender took the time to make this gift uniquely mine. Of course, it helped to know that I wear cuff links! Personalization is nothing new to marketing. You can insert someone’s name into the subject line or body of an email to personalize it. But personalization is only one part of the equation. You need to take preferences into consideration for the personalization to be effective. I often receive emails with my name in the subject line. (Nice.) But the content of the email was about a service in which I had absolutely no interest. I’m then likely to click the “delete” button because the email is no more “personalized” than a mass mailing that shows up in my home mailbox addressed to “Occupant.” What’s worse is that I become skeptical about any future emails from that sender. The difference between personalization and preferences is choice. Preference management can make a difference in marketing and boost the effectiveness of personalization because it offers choice. And, it puts the consumer in control. For instance, a persistent preference center can allow prospects and customers to opt-in to their desired communication channel such as email, text message or direct mail or even the desired frequency of communication. 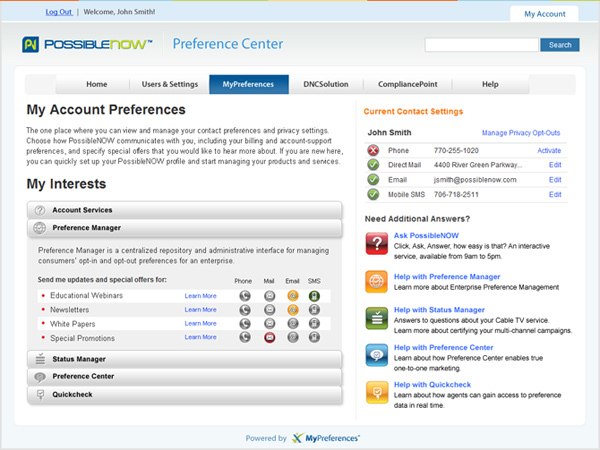 You could use a Preference Center to provide options for content such as by product line or service or by sales and promotional offers. By allowing the customer to choose what they want to receive, how they want to receive the information, and how often they wish to hear from your brand, you honor their preferences. They are much more likely to be receptive to your messages when they have a choice! So how do you handle personalization and preferences in your marketing efforts? Let’s hear your comments!